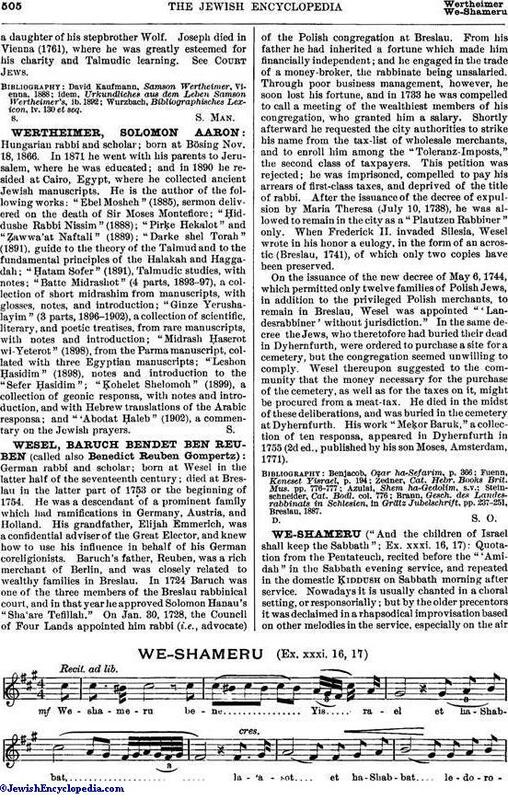 Quotation from the Pentateuch, recited before the "'Amidah" in the Sabbath evening service, and repeated in the domestic Ḳiddush on Sabbath morning after service. 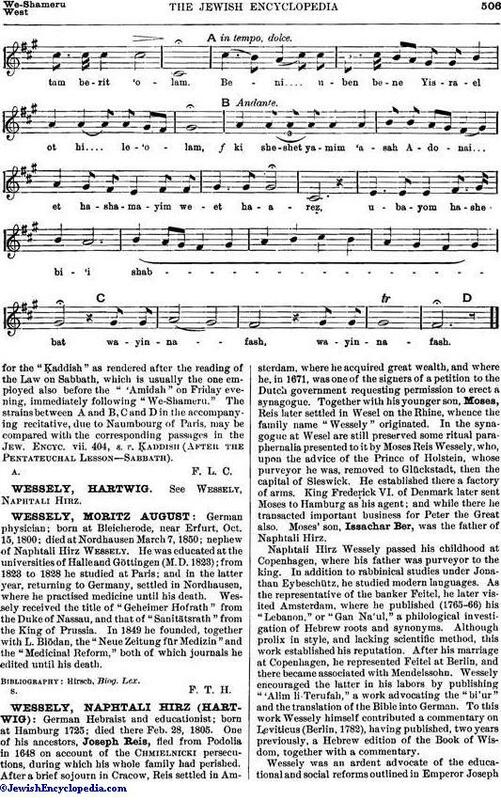 Nowadays it is usually chanted in a choral setting, or responsorially; but by the older precentors it was declaimed in a rhapsodical improvisation based on other melodies in the service, especially on the air for the "Ḳaddish" as rendered after the reading of the Law on Sabbath, which is usually the one employed also before the "'Amidah" on Friday evening, immediately following "We-Shameru." 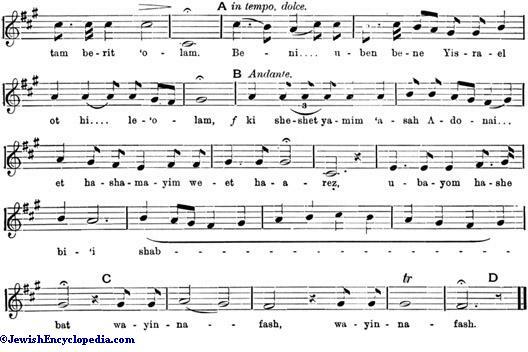 The strains between A and B, C and D in the accompanying recitative, due to Naumbourg of Paris, may be compared with the corresponding passages in the Jew. Encyc. vii. 404, s.v. Ḳaddish (After the Pentateuchal Lesson—Sabbath).